Are you thinking about getting a new gate or new railings for your property because your old ones have seen better days? Wessex Fabrications can provide you with a wide range of gates, railings and other security measures. 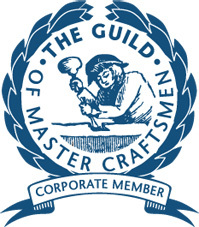 A member of the Guild of Master Craftsmen, you can trust us to carry out high quality work at all times. Read on for more information. We can also fabricate structural steelwork and I-beams for small building projects. Give us a call today for more information. The company was formed in 1988 and in that time we have grown steadily through meeting the needs of our varied clients and providing an excellent level of service. We believe that our success is based on our total commitment to providing quality products at competitive prices, together with an understanding of the need to meet deadlines. All of our work is bespoke to order and you will be dealing with the business owner, not a salesperson. For a free quote, get in touch with us today on the number at the top of the page. Alternatively, you can also send an email with your details and query and we will be in touch as soon as we can. Get in touch with us today for a manufacturer of gates and railings in Poole and Bournemouth.